My third day in London started off royally rotten! I woke up a little later than intended (10:45 instead of 9:30) and the tube was ridiculous! A line was closed, a connection wasn’t written on my map and another train took almost 10 minutes to pull into the station. I spent over an hour on transit but eventually made it too……. Today was an annual event in London called Trooping the Colour. 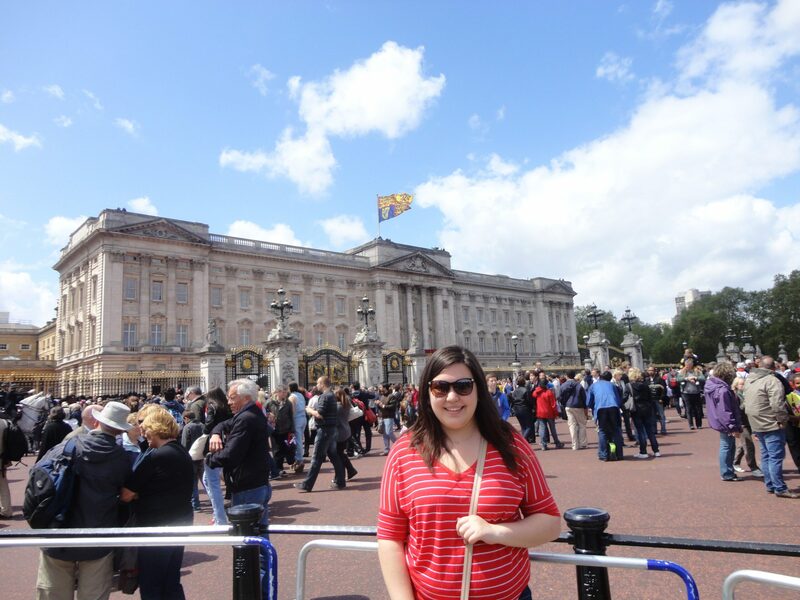 It celebrates the Queen’s birthday (though her real bday is in April) and features a parade, air show and (the best part) the Queen and her family on the balcony of Buckingham Palace! I didn’t get to the Palace until 12:30 but I made it just in time! 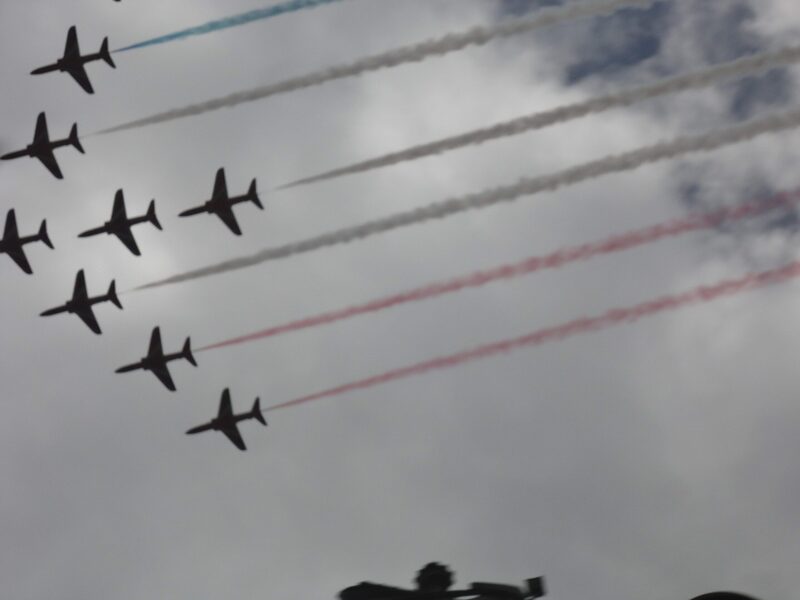 I watched as the Irish Guard marched in, listened to the marching band guards play God Save the Queen, observed the Royal Air Force show off their best planes and saw the Queen, her hubby (Philip? 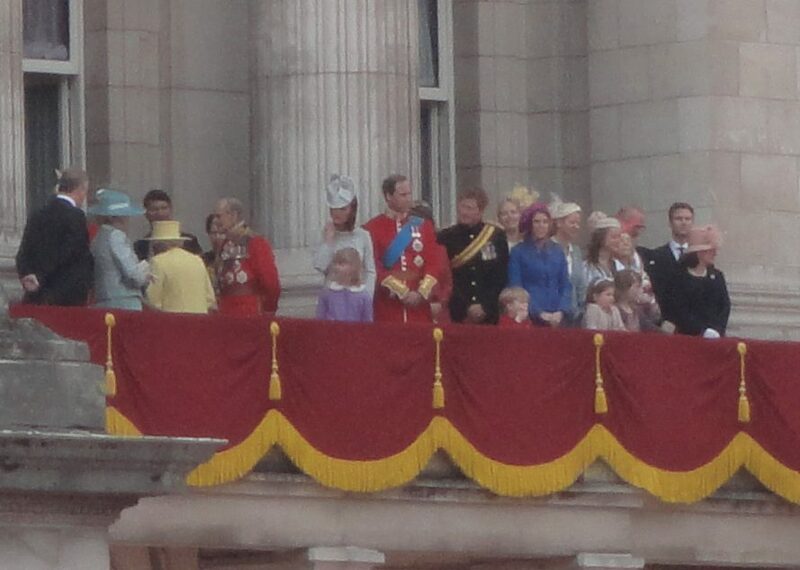 ), Prince Charles, Camilla, Will, Kate, Harry and a bunch of the extended family! I got to see the Queen! And Will and Kate! And Harry! It was so incredible! I was kind of far away but I could still see them smiling and waving. The whole crowd cheered, cameras were lifted overhead and choruses of “Happy Birthday To You” rung out. I actually got a little teary when they first came out. Maybe I’m more attached to the monarchy than I thought. After they left, I went up to Palace to see it more clearly. I watched the guards marching around and playing a few more songs. It was a really cool experience and I didn’t want to leave. Everyone was so excited and patriotic! From there I walked down to Westminister Abbey and the parliament buildings. 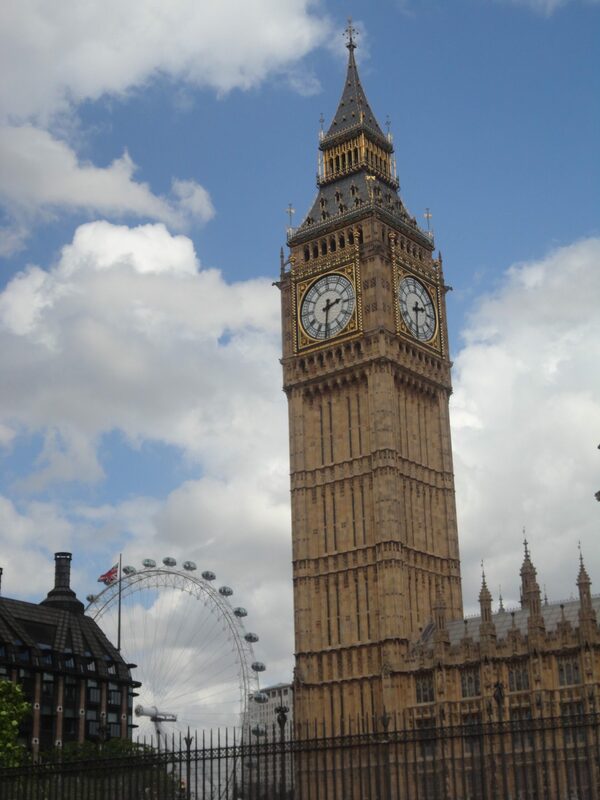 I saw Big Ben and can honestly say their parliament is housed in one of the most beautiful buildings I’ve ever seen! I plan to come back on Monday when you can enter for free and see them in action! Since I was in the neighbourhood, I figured I should pop over to the Apollo Vic Theatre (where Wicked is showing) just to see what was available. Turns out my student ID got me a top-price ticket for only 27 pounds! I was ecstatic! 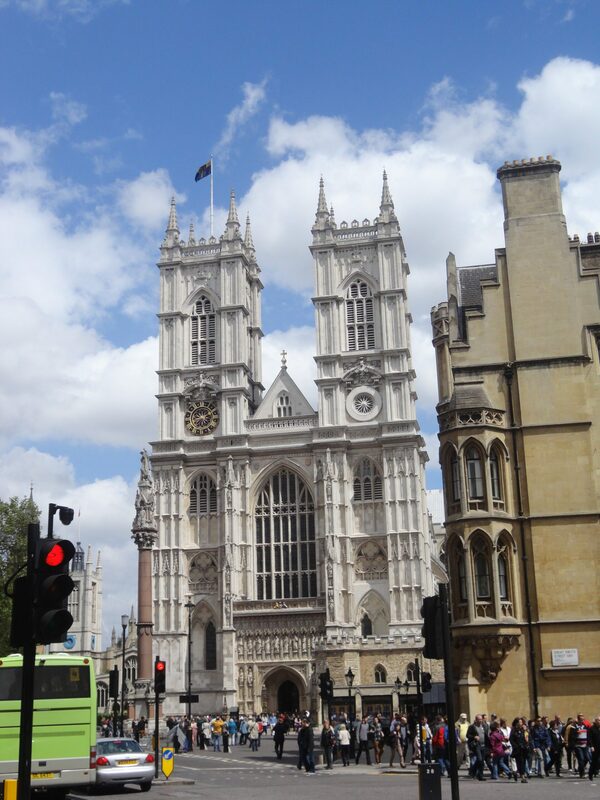 I headed back to Westminister Abbey to enjoy the Evensong Choral service. Pictures, unfortunately, were not allowed but you’ll have to believe me that the Abbey is breathtaking. It’s ginormous and so ornate. Everything has a very regal and old-fashioned feel to it. I got to walk down the exact path Kate walked on when she married Will last year! For the service, I was seated in the inward facing pews, right next to the choir! They were wonderful! Everything was very traditional so it was especially cute when a little Asian choir boy had to keep pointing to their music so his friend could figure out where they were. Overall, it was an amazing experience and I’d love to go to another service. Westminister Abbey! I walked through the very doors Kate did on her wedding day! On the way to go see Wicked I stopped off at Topshop to buy a dress (don’t worry parents! It was on sale). I know we have them in Canada but it’s just cooler in London! Plus, I was wearing jean shorts and my hideous Union Jack sweater which I refused to wear to the theatre. Wicked, the unofficial Queen of musicals, was unbelievable! I’ve seen it before and have the soundtrack memorized but it was still so exhilarating. It is officially my favourite musical! The costumes and set pieces were insane, the talent was unbelievable and the music will be stuck in my head for days. I was beaming from the moment the first few notes started playing. Plus, my 27 pound ticket got me a seat in the front row of the dress circle (aka best view in the house!) where my seatmates had paid about 90 pounds to sit! First Harry Potter, now the Royal family AND Wicked. Wow. (I’ll try to stop mentioning it, but OmgI’mSoJealousAndWantToBeYou). Ok. Out of system. Woah, Westminster Abbey’s HUGE. It must be super impressive in person. Ohoh, did you get to see the fancy guards that don’t smile? 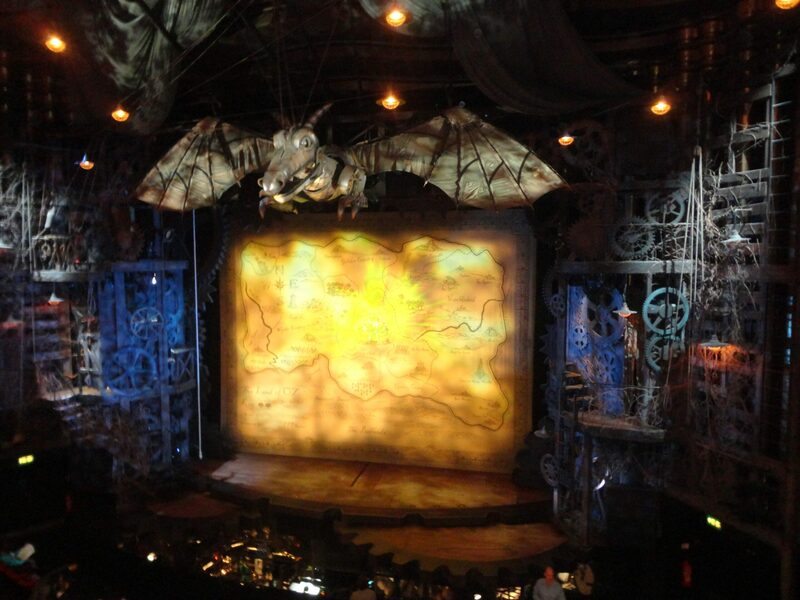 And 27 pounds to see Wicked from the front row of the dress circle!! That’s amazing! Note to self: Always bring student ID when traveling. 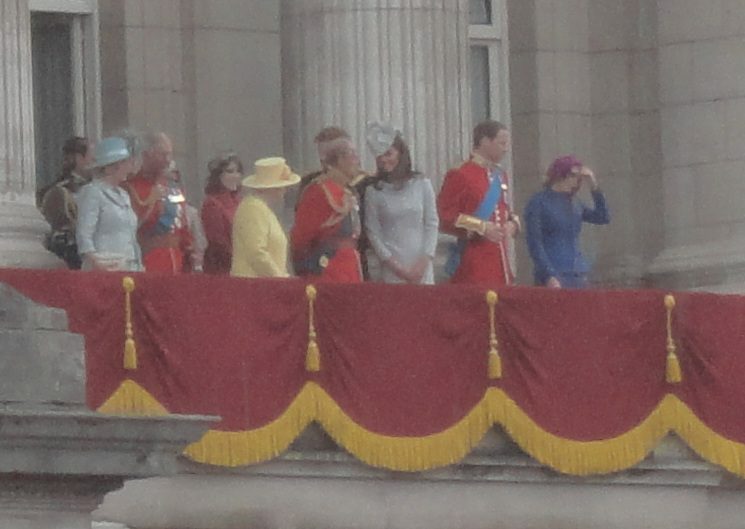 Haha yeah Royal Family, Wicked and Harry Potter…I could die happy! It was crazy impressive! You look up and keep expecting the ceiling to be right there but it’s not! Yes, all the guards were there! Their little chin straps look ridiculous and I’m convinced that’s what stops them from smiling. Student ID is my life! I don’t think I’ve paid full price for anything!